If you asked me last week, I would’ve told you I hated LA. I’d spent a little time there before, but the only things I remember from my trips are urban sprawl, the Walk of Fame (skip it) and Grauman’s Chinese theater (skip it). However, my experiences during this past trip changed my mind. I’ve heard all of these things about LA before, so I’m not going to blow any minds with my observations here, but sometimes you have to discover things for yourself. Los Angeles, you’ve turned me around. Like, hip. I saw Sarah Silverman and Friends at Largo, a nightclub in West Hollywood. Several big name musicians and comedians are basically informal artists-in-residences there (Sarah Silverman’s show is monthly), and lots of big name talent in LA goes there to experiment with new material or showcase their other talents. (Ed Helms recently hosted a bluegrass show at Largo.) It may sound like a pretty fancy place, but the setting was very informal and relaxed with several small performance spaces and bars that cradle a courtyard. Very cool. 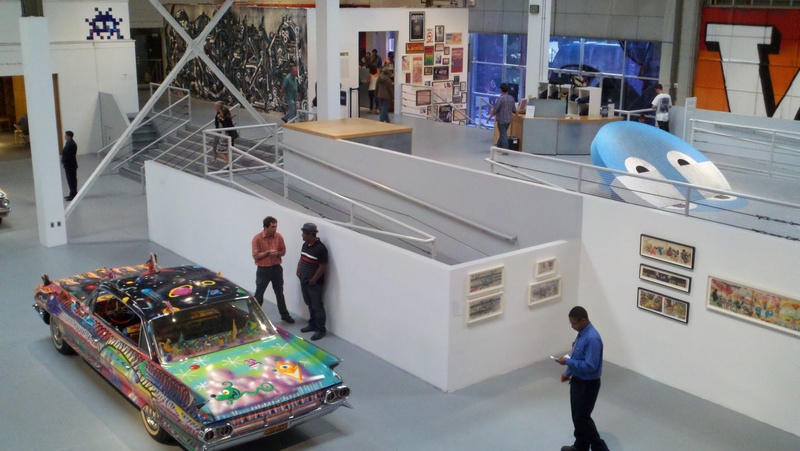 On Friday, we went to the Museum of Contemporary Art (MOCA) to see Art in the Streets, a survey exhibition of grafitti art organized by the museum. I’ll leave the art criticism to my friends who know better, but it was my first time seeing a very trendy show that originated in LA. A few years ago I went to the Brooklyn Museum to see the Murakami exhibition organized by MOCA. I enjoyed it and thought the Brooklyn Museum was a great venue, but having experienced MOCA I imagine the Murakami show had a bolder, more thrilling personality in the space. It just seems to fit. Most cities seem to have a Chinatown. But LA has a Japantown AND a Koreatown. It seems like there was a restaurant to represent every culture. I even spotted Ecuadorian/Italian cuisine. I went to a Dodger game and was surrounded by a very economically and racially diverse crowd, which is very unlike the crowds I am used to in most cities–especially D.C.
No doy, right? The weather is perfect, the mountains are breathtaking and the beach (while I never stepped foot on it) smelled really nice. I was taken aback by the city’s traffic. I have always heard how frustrating it is to drive there, but everything took at least an hour to travel to, regardless of how much time you allotted to get there. 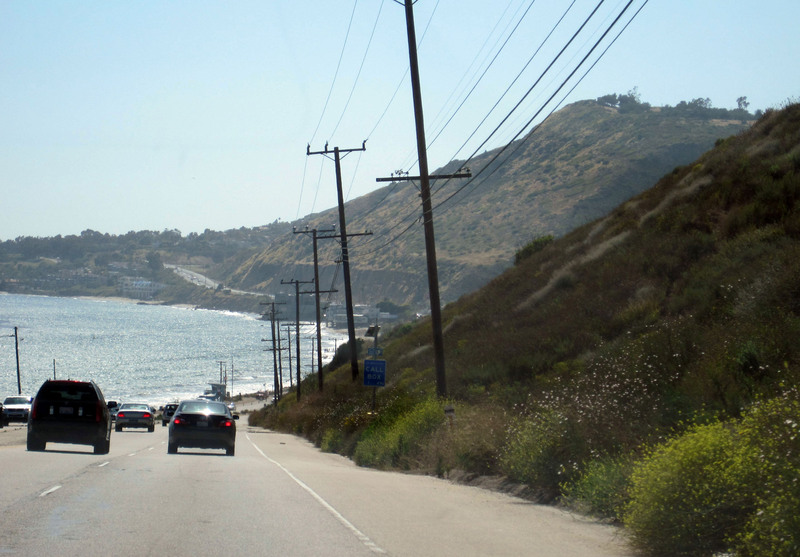 However, as I drove on the Pacific Coast Highway in Malibu and looked out to the ocean, it made sense that millions of people would flock to the area and suffer through the congestion. Everything here is gorgeous. We’re in Phoenix now. My boyfriend is a little skeptical of the city. Hopefully Phoenix will show us what it’s got. Everything here is gorgeous–even the view from the Dodger Stadium parking lot.